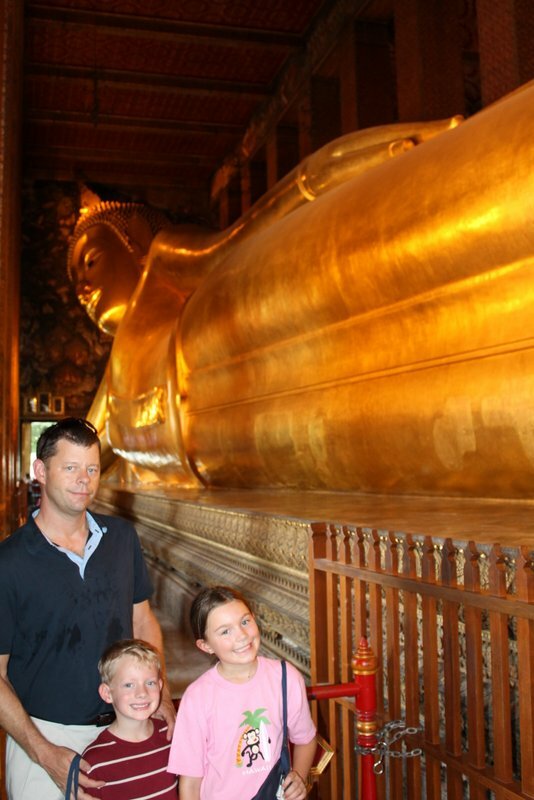 We visited Wat Pho (aka Reclining Buddha) after our visit to the Grand Palace. 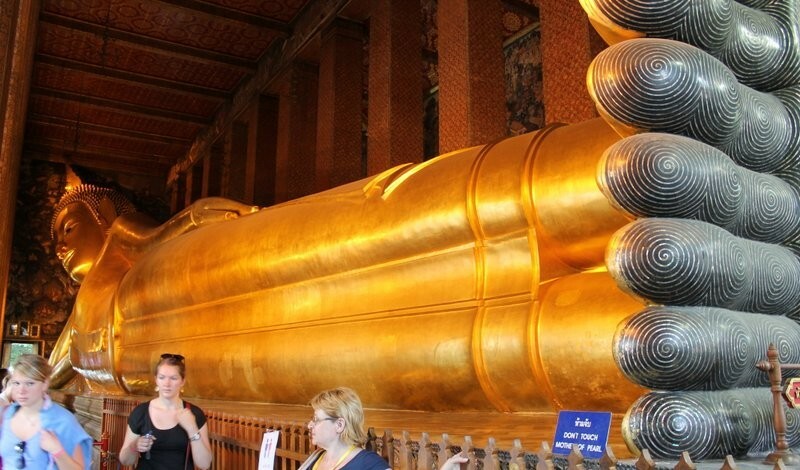 They are a few minutes apart, and you can walk it, but it’s easier just to take a short tuk tuk ride. 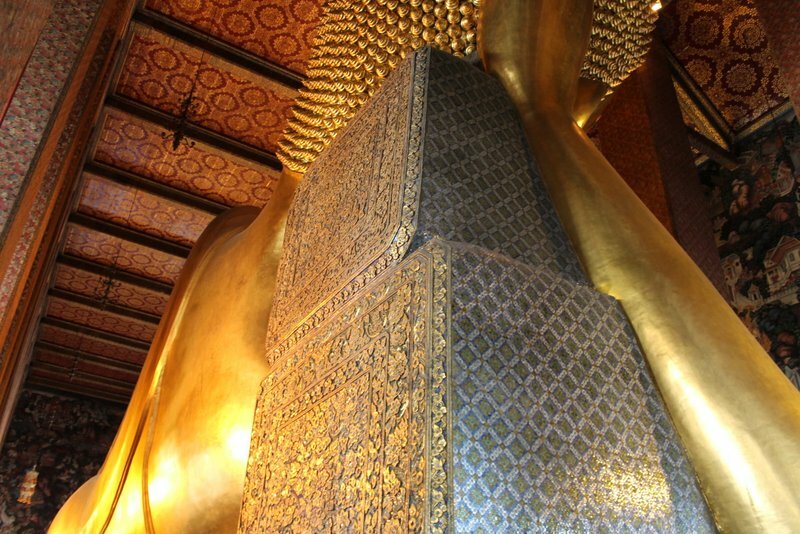 Wat Pho is one of the largest and oldest Wats in Bangkok and is home to one of the largest Buddhas. 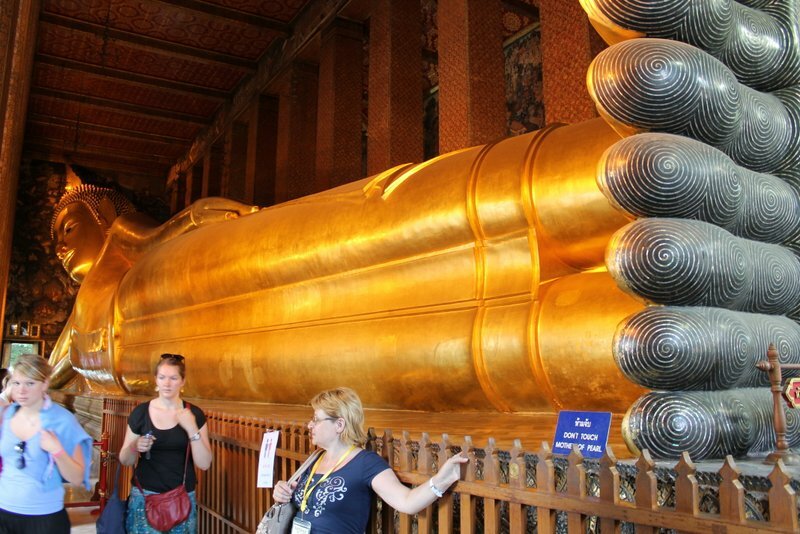 The Reclining Buddha (Phra Buddhasaiyas) is about 150′ long x 50′ high and quite impressive in person. 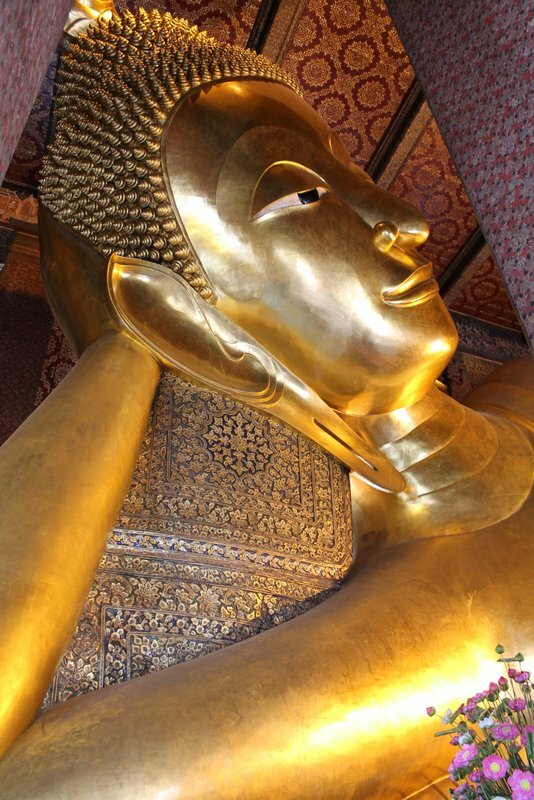 The Buddha the only real attraction at this Wat, so it’s a pretty quick trip, except for jockeying with the crowd to get a good view and a photo. No, I don’t know them. 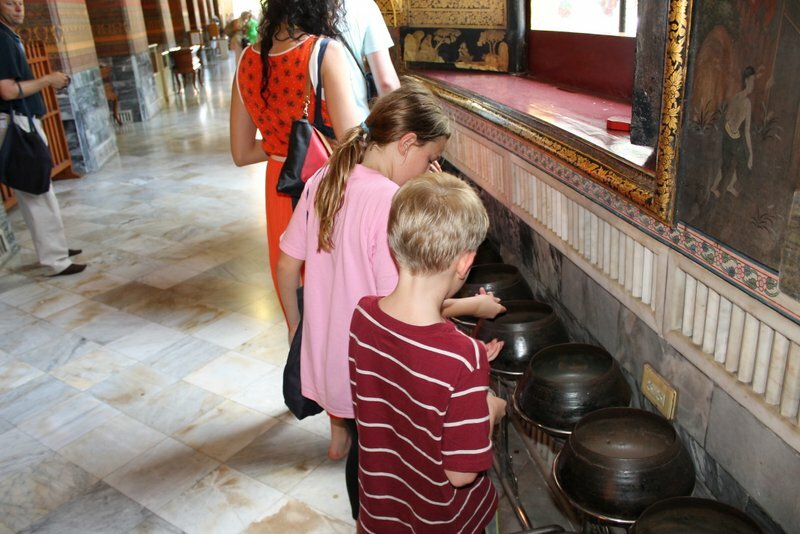 It was impossible to get a picture without anyone in it. 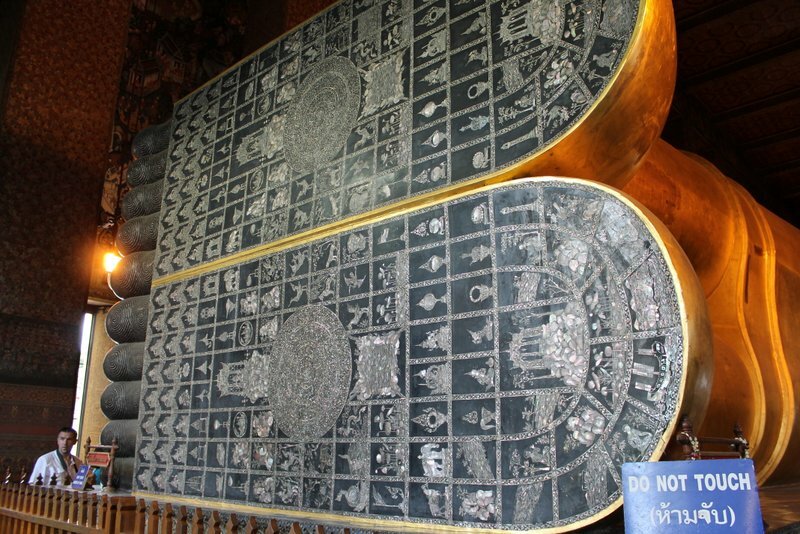 His feet are 10′ x 15′ and inlaid with Mother of Pearl which is divided into 108 arranged panels.